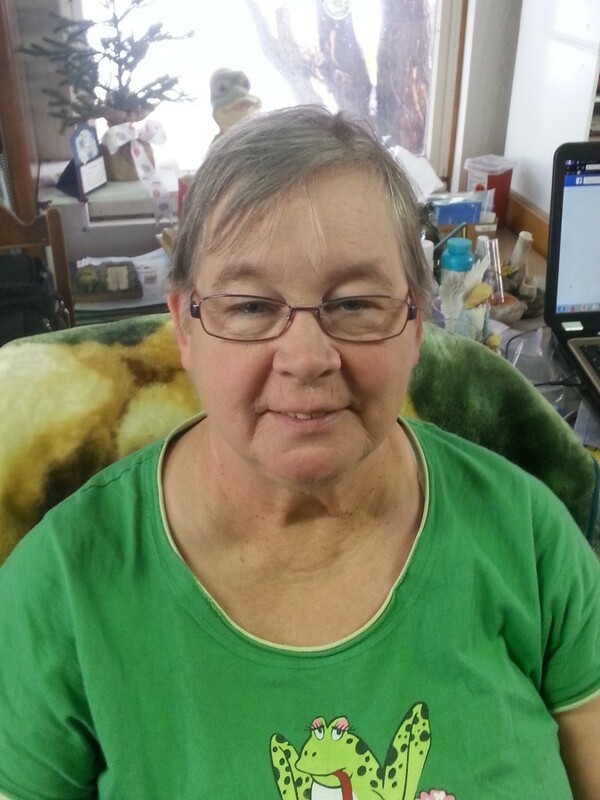 Pam Hardy of Corvallis, Montana, age 65, passed away in her home surrounded by family on Tuesday, September 11th, 2018 after a courageous battle with cancer. Pamela Kay Joslin was born in Seattle, Washington to Jerry and June Joslin on February 4th, 1953. She had two older sisters, Yvonne and Judy, and a younger brother, Jerry. Pam and her family moved to Snohomish, Washington in 1957. They lived in a little grocery store where she began her skills in the retail trade at an early age. At the age of 10, Pam began her love for crafting; she would create doll furniture or model cars and planes out of wood. Her passion for crafting then picked up speed and never stopped. Pam enjoyed her time in Snohomish and was very active in school, attending from kindergarten to 12th grade. In 1972, Pam moved to Twisp, Washington where she met the love of her life, Rick Hardy. Pam and Rick married on February 24th, 1973. During this time, Pam and Rick enjoyed riding motorcycles, going on scenic drives in the mountains, hunting, bowling and fishing. Then in April 1974, Travis Hardy, their first child, was brought into the world. For the next 5 years, Pam, Rick and Travis had many adventures, moving to Republic, Washington then to Moses Lake, back to Twisp then back to Republic. In November 1979, after moving to Camano Island, Washington, Dexter Hardy, their second child was born. During their time on the island of Camano, Pam became involved with the Camano Chapel and started decorating cakes for friends and family. In 1983, the Hardy family moved to Kenai, Alaska. In August of 1984 a third child was added to their family, Fawn Richelle Hardy. The family of 5 had fun times in Kenai fishing, successfully hunting for moose, and getting stuck in the Alaskan muck. At that time Pam continued working in retail, decorating cakes in her free time and bowling with friends at least 3 times a week. The Hardy family was drawn back to Snohomish in 1988. In 1995, the family moved to Corvallis, Montana where Pam continued to bowl, craft, decorate cakes while raising her kids. Pam went back into retail in 1996 at the Bitterroot Drug; this is where the fun hats began. When making deliveries to her patients, Pam would wear colorful and funky hats to make people happy and have a smile. Pam thoroughly enjoyed her experience at the Bitterroot Drug. She was able to meet a lot of different people in the community and connect with those around her. She was active in the Hamilton Downtown Association and bought a business called the Shirt Shack. Pam met more people through this business venture and then joined the Hamilton Kiwanis club. Pam was the first woman on the Kiwanis board, later becoming the first woman President of the Hamilton Kiwanis club. Meeting new people made Pam happy. Her love of people showed while volunteering for fair work for the Kiwanis club. In 2006 Pam retired from the workforce. She focused on crafting, ceramics, stamping cards, creating candles and scrapbooking. She always had a quick, cheery smile for people and invested in staying positive. One of her mantras is “Never give up when you fail. Fail means First Attempt in Learning.” Years later Pam began collecting frogs of any shape or size and in any form. Her most favorite phrase is FROG: Fully Rely On God. On August 14th, 2014 Pam embraced her FROG collection when she was diagnosed with ovarian cancer. She still kept her spirits up and continued doing what she loved: being with her family, camping, boating and crafting. Throughout her whole journey, Pam met a lot of super fantastic friends. Pam and her family would like to thank the Community Cancer Center and the partners of Home Health Hospice. Pamela Kay (Joslin) Hardy is survived by her husband of 45 years, Rick Hardy, her sons Travis (Brandy) Hardy, Dexter (Shar) Hardy, her daughter Rikki (Doug) Weed, her grandchildren Richard, Tamara, Dayton, fur babies, sister Yvonne (Bob) Bagley, sister Judy (Gene) Sutherland, brother Jerry (Sue) Joslin. A celebration of Pam’s life will be held at 4:00 p.m. Saturday, September 22nd at the Daly-Leach Chapel in Hamilton. A potluck reception will follow in the Daly-Leach Community Room. Private family urn placement will take place at a later date.